First Impression: One creepy cover. Plus a twist on a classic tale. It could equal one enticing read based on that blurb.While Reading:All Araby wants is an escape. From the contagion. From her past. From life as it is now. Her answer? The Debauchery Club. A place for the Elite. Where anything can be had... for a price. But behind these doors, lie secrets that Araby never imagined.Araby is one of the most complex characters I have come across. She is so complex that it almost made her unlikeable, at least in the beginning. Life... Death... these two concepts blend together in Araby's world. Life is a struggle. A constant reminder of the twin brother she has lost. Death, now that is the easy way out. But if she were to take this out, then she would only be dishonoring her brother's memory. It is definitely a damned if you do, and damned if you don't type of situation. The beauty of Masque of the Red Death lies in its subtle brutality. The despair of the city's people. Helpless to care for those they cherish, all the while attempting to maintain a small spark of hope. No doubt about it, Masque of the Red Death is one gritty tale. And Griffin gloriously embraces the need for this grit. The honesty of what a disease / plague can do to a society and its people. Griffin does not shy away from taking us readers to the edge. Highlighting the gore as well as the beauty of the desolate area. Lights... Shadows... it is all here in Masque of the Red Death.While parts of Masque of the Red Death may not be for the faint of heart, the book is definitely not without its own heart. Will, Elliot, and Araby are part of a complex triangle. Not exactly a love triangle, but a triangle nonetheless. Griffin executes the turmoil of the triangle perfectly. Often with YA books, there is so much black and white. Good on one side. Evil on another. Griffin does none of this. Masque of the Red Death is not a good vs. evil type read. It is not about the black or the white, but rather the grey. 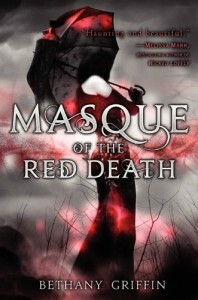 Masque of the Red Death blurs the lines of love, trust, dishonesty making readers question what they think they know about these characters, while throwing in plenty of twists to keep us on our toes.Final Verdict:At first, I was really confused by Masque of the Red Death. 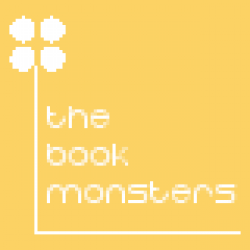 The world building came off a little jagged. Never giving concise answers to the growing questions that I had building inside of me. As the tale unfolded, many of the questions I had never really got their answer. But strangely enough, I was fine with that. Every book does not need exhaustive reasoning for the way that things are or where... you just have to accept that they are. Masque of the Red Death had that feeling to it. And I loved getting lost in that world. Watching the lines of truth and lies blending. Love being contorted into something almost unrecognizable. Masque of the Red Death is unlike anything out there. Gritty, honest, and completely unapologetic.